When you’re an expecting parent, the number of decisions you have to make during pregnancy feel almost endless! How are you going to feed the baby, who will watch the baby, when will you ever sleep again?! 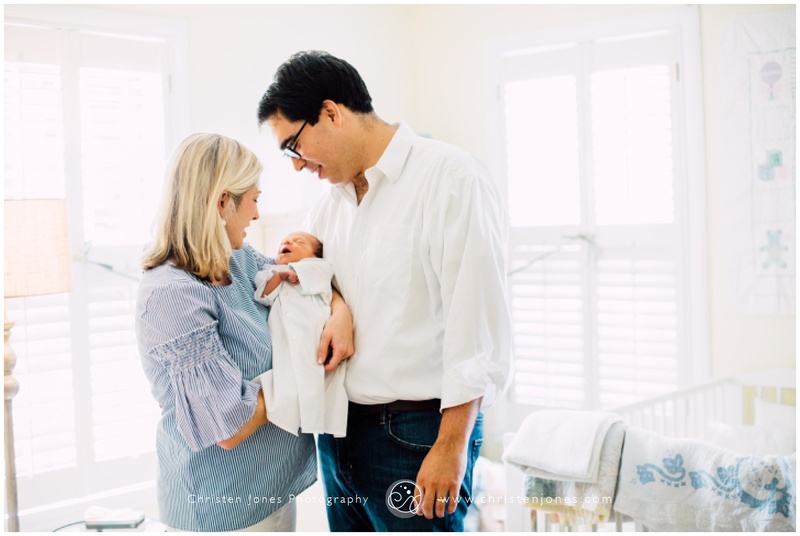 It’s easy to get bogged down, so let me help you with the one decision I’m qualified to help you make– What kind of newborn photo session do you choose? 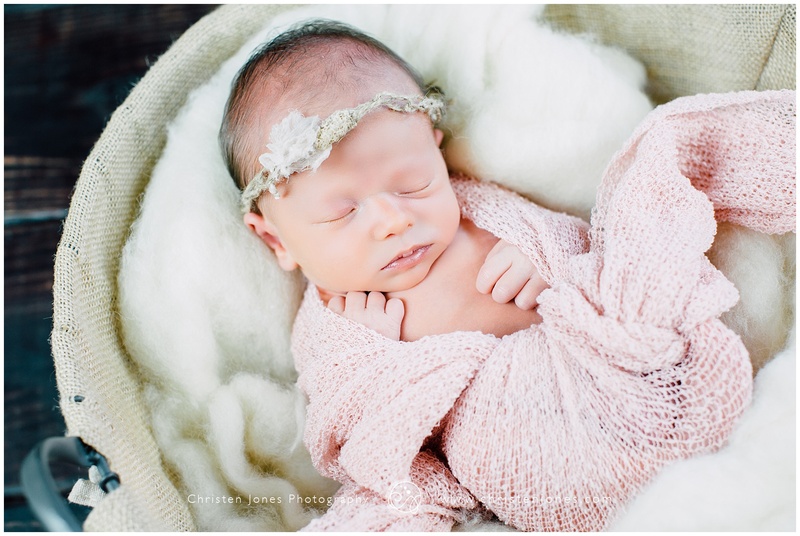 One of the most common questions I get from expectant moms is wanting to know the differences between these two types of photo sessions with their newborn babies. This is an important question because there are quite a few differences between the two that you should take into consideration when picking your preferred session style. This session takes place in my studio! The average newborn session can last anywhere between 1 and 2 hours depending on how easily your baby stays asleep. Based on what kind of photos you’re looking for, I usually try to get a few shots in the beginning of you and your partner both together and alone with the baby, and then we move to individual baby shots. In my studio, parents have unlimited access to all my props! And let me tell you … there are a lot! I have a variety of handmade baby hats, bows, diaper covers, swaddle blankets, and more. 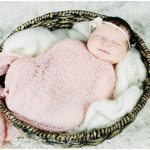 When you arrive, I’ll ask you to choose two different baskets that I use for setups and 3-4 different fabrics for your baby to be photographed in. Once we take shots with two different bucket/basket setups, we move to the bean bag. The bean bag allows us to have several different background fabric color options, swaddling options, and poses. In the studio, I utilize photography lights, so we aren’t dependent on the kind of lighting weather brings us. I also have several props like a sound machine and heating pad that I can use to keep your baby comfortable and sleepy. The environment is much more controlled when you come to my studio, and we are given more time to spend soothing your baby asleep. This usually results in more poses, more sleeping photos, and more close-up shots with precise lighting. I come to you for this type of session, and it takes place in the comfort of your own home. 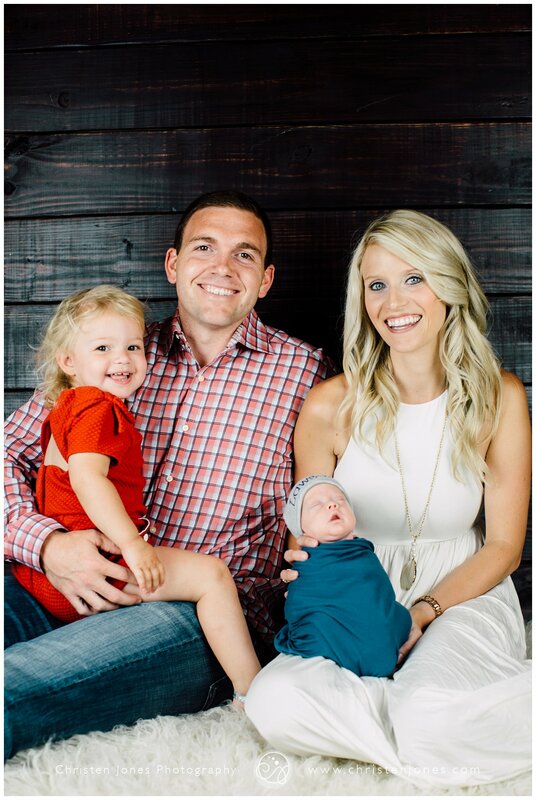 The focus of the lifestyle session is capturing your family where you are most comfortable, and the shots are a little more candid. The time is usually shorter than a studio session at around 45 minutes up to an hour and a half. I rely on the lighting in your home and do not bring any extra photography equipment with me, so there is less predictability in that regard. For props, I bring one bucket or basket and one swaddle blanket upon parents’ request. 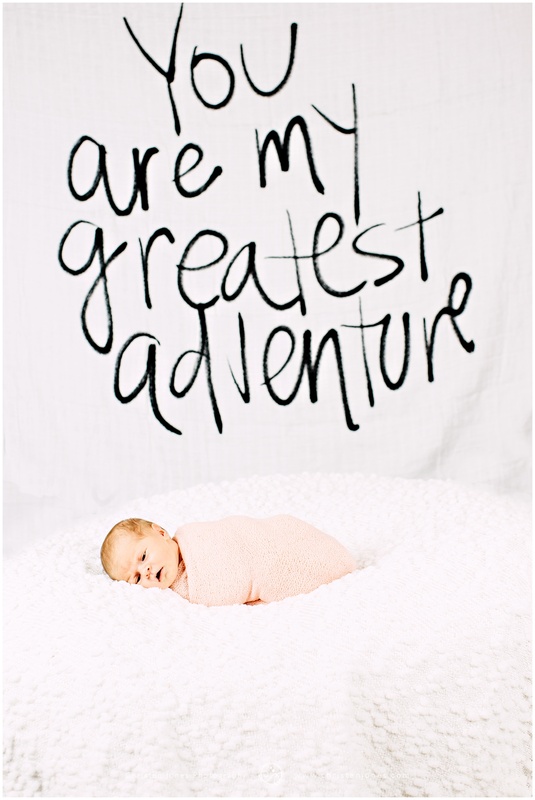 Often, parents have their own clothing, prop, and special items to photograph baby with, but this is not a requirement. 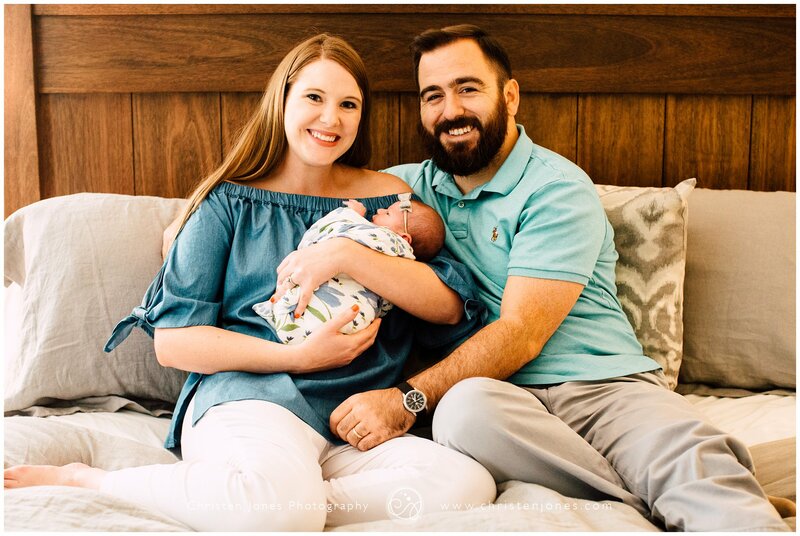 The photoshoot is more casual than a studio session, and I typically shoot parents on the bed with the baby, baby alone on the bed, baby alone in one other location, and then the baby with each parent alone. At this time this session comes with image download capability. Do you gravitate toward reliable conditions and formal posing or candid and casual photography? Would you rather escape what can be chaotic first days at home to come to my studio where everything will be waiting for you, or would you rather stay home with your sleeping baby and have me come to you? 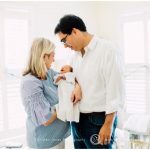 Do you think you would prioritize photos that show precise details of your little one in that fleeting newborn stage or those that showcase your baby in her nursery and that rocking chair you’re likely to spend so many hours in? Whichever type of session you choose, you can’t go wrong! I’m pretty fond of the control and consistency I’m able to have within my studio because of the lighting and variety of props, but I also adore visiting the homes of families who have just welcomed their baby and seeing where this little one will be growing up. If you have any concerns or questions about your specific situation, you can always email me to ask! 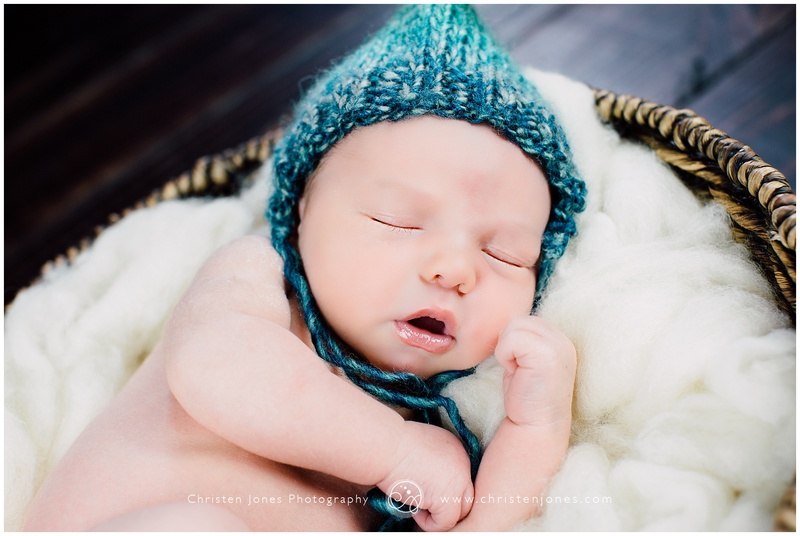 The most important thing is that your baby will only be a teeny tiny newborn for a very short time, and a newborn photo session will document this season and remind you for years to come of what you felt when you were a new parent.